“Mowgli’s story was one that had us all in tears." For Mowgli the bear cub, life with Mom was all he’d ever known. When he got tired, she would carry him on her back. When he was hungry, she was always there to nurse him. And soon, as he got bigger, she would begin teaching him all there was to know about being a bear. But after only 10 weeks together, all of that was gone. Mowgli’s mom, with her baby on her back, ventured out of the safety of Sanjay-Dubri National Park in search of food — and walked into a trap of electric wires set by poachers. The volts paralyzed her instantly, and she was lifeless by the time forest officials found her. But baby Mowgli still wouldn’t stop hugging her chest. 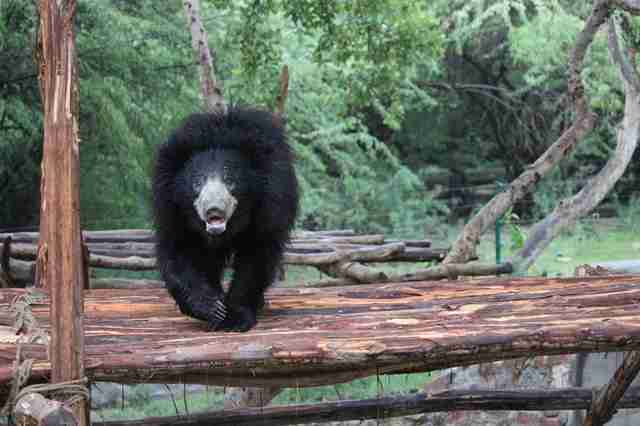 Little Mowgli was taken to Wildlife SOS’ Agra Bear Rescue Facility to be treated and raised by the team’s veterinarians. 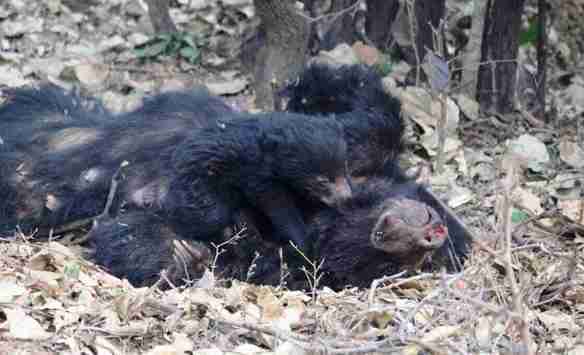 It took months of special milk formula, monitoring and care for the little bear to survive. He was so small then — but after everything he’d already been through, he had such a will to live. Now, over a year since his rescue, Mowgli isn’t so little anymore. He’s healthy, strong and spends his days exploring his sanctuary home without a worry in the world. Naturally, Mowgli’s favorite things to do are play and eat. And he’s particularly happy whenever he gets to go swimming. And when Mowgli plays with his favorite ball, it almost looks like he’s grinning. 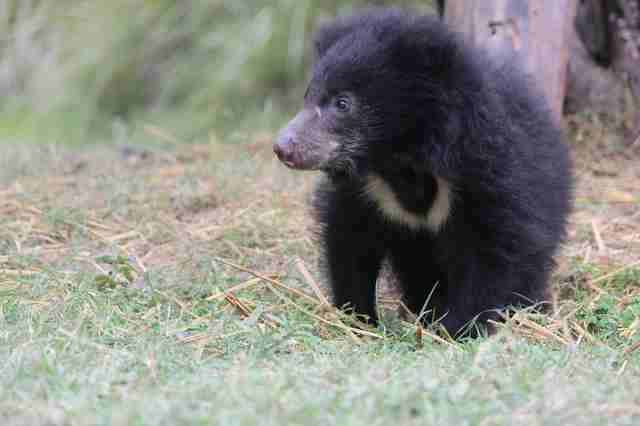 Once Mowgli is old enough, he’ll be integrated into a living group alongside other rescued sloth bears. But for now, he’s still able to socialize with his bear neighbors from the fence of his enclosure. 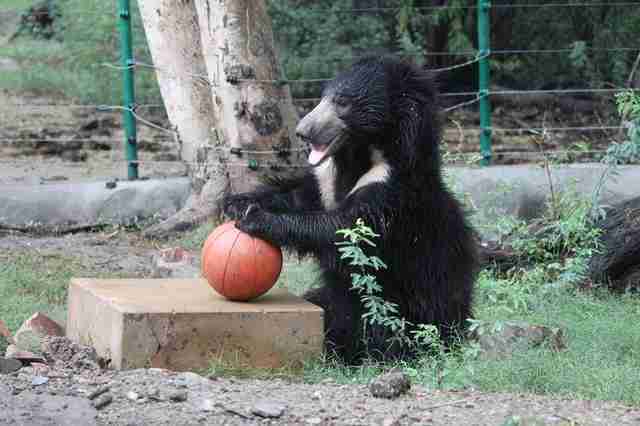 While Mowgli is doing so well now, his devastating start to life means that he won’t ever be released to the wild. Mother sloth bears stay with their cubs for the first two years of their lives to teach them important survival skills — but since Mowgli lost his mom so young, he wasn’t able to learn. Luckily, Mowgli ended up in the best hands possible — and he’ll be happy for all of his years to come. 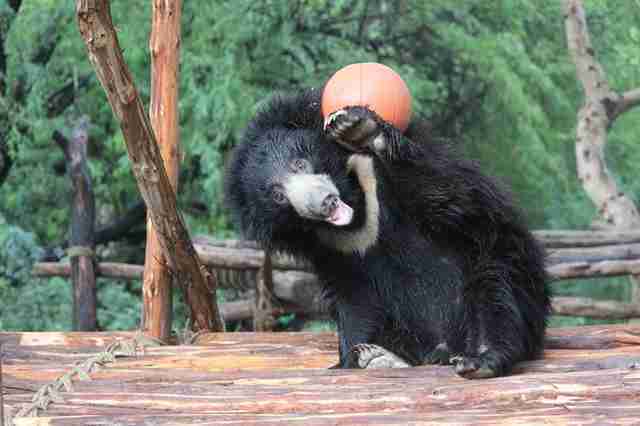 To support Mowgli’s continued care at the sanctuary, you can make a donation to Wildlife SOS.